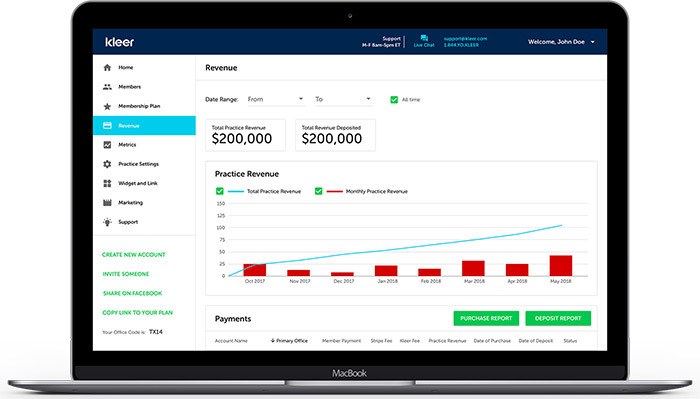 DSO News sits down with Dave Monahan, CEO of dental membership plan software Kleer to learn more about these plans and how dentists can implement them to increase profits. 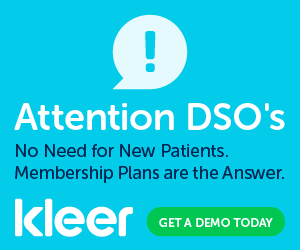 Recently, DSO News sat down with Dave Monahan, the Chief Executive Officer of Kleer, a solution to manage dental membership plans. Q: What is a dental membership plan? A: Membership plans are dental plans offered by dentists directly to their patients. Patients pay a monthly or annual subscription directly to their dentist in return for preventive care and discounts off other treatment. Practices design their own plan, set the subscription price and create their own fee schedule. Practices keep the payments made by a patient, including the subscription fee, and patients get a simple, comprehensive and affordable dental care plan that enables them to maintain their oral health. To evaluate the impact of membership plans, we conducted a study of several dental practices that offer membership plans to their patients. We reviewed the office visits, treatment acceptance and payments made by insured, uninsured and membership plan patients. We learned that membership plan patients are the best patients. They visit your practice and accept treatment like an insured patient, create profits like a fee-for-service patient, and increase practice valuation by creating a recurring, subscription revenue stream. Q: Are membership plans appropriate for all dentists or groups? A: Membership plans are appropriate for any practice with uninsured patients. We have conducted extensive research prior to starting Kleer and learned that uninsured patients want more care. They know that oral health is critical to their overall health. They have been avoiding care and are worried about the consequences. And 89% are interested in purchasing a dental care plan. They place a lot of value on both preventive care (cleanings, exams, x-rays, etc.) and major care (fillings, crowns, root cabals, etc. ), and they want a care plan that is affordable, simple and transparent. Most importantly, they don’t want to be deceived by complicated terms, limitations or hidden fees. They have looked at insurance and haven’t purchased a policy due to cost and complexity. They want an honest plan that provides the care they need and fits in their budget. It’s that simple! Uninsured patients feel exposed and stressed when they get in the chair. Most people, even when they have dental insurance, aren’t exactly looking forward to visiting the dentist. For people without dental insurance, multiply that — let’s call it “the hesitancy factor”— by 10- or 20-fold. They value their oral health, but they have a fear of the unknown, especially when it comes to cost. They think they are paying too much for the care they receive, but they don’t have a good way of gauging what they should pay and are uncomfortable challenging or negotiating fees. As a result, they often avoid visits and turn down treatment. Membership plans bridge the gap and enable uninsured patients to get comprehensive, affordable dental care that helps them to maintain their oral health. Q: Are membership plans being used in other healthcare sectors like medical, vision, veterinary, etc.? A: Yes. Membership plans are being used in the veterinary market where they are often called “wellness plans.” Pet owners pay a subscription to the veterinarian for regular check-ups and vaccinations. They also receive discounts off other procedures their pet may need. 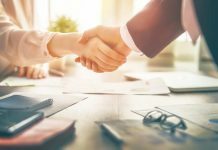 It’s more difficult to offer a membership plan in the medical market due to the complexity of the healthcare system and the almost universal insurance coverage. The medical market has developed something called “concierge medicine.” Patients pay an annual subscription to their physician for more attention and care. Q: By your best estimation, what percentage of U.S. patients are uninsured? A: In the US, 40% of adult consumers are uninsured, which equates to 97 million people. The uninsured fall primarily into two groups — consumers who don’t receive dental benefits at work and consumers who have retired. Almost no one purchases dental insurance on their own due to the complexity and cost of the plans. Q: By your best estimation, how many U.S. patients visit the dentist each year? A: Every year, 128 million US adults visit the dentist. This breaks down to roughly 90 million patients with insurance and 38 million without insurance. Q: What are the benefits of membership plans for dentists? First and foremost, membership plans improve the oral health of a practice’s uninsured patients by making them committed and loyal patients. These were infrequent or dormant patients who only came in when they suspected they had a problem … now they are committed to the practice and their oral health. They are coming in regularly for their six-month hygiene appointments. Once that happens, their trust in the practice deepens, and they’re more willing to accept recommendations for comprehensive care, as our research demonstrates. They’re also willing to recommend the practice to their family and friends. Membership plans mean a more robust hygiene department; a more robust hygiene department means more comprehensive treatment presented and accepted. More cases accepted means healthier patients and a financially healthier practice. In today’s competitive climate, the ability to develop a new source of revenue — especially one free of dental insurance entanglements — can be the difference between a highly profitable practice and one that is just getting by. Membership plans also enable dentists to take back control of their practices. Practice owners set the pricing and keep the revenue. Dentists decide the services covered, the fee schedule and the discounts. They make these decisions based on what is right for their practice, and they get to reap the rewards. Q: What are the benefits of a membership plan for patients? A: Patients get access to affordable and quality dental care. It’s simple to understand and easy to use. You don’t need a lawyer to interpret what benefits you receive. It should be clear for patients and practices. Membership plans offer easy-to-understand benefits and transparent pricing. There are no surprises, and both dentists and patients like that. Q: How does a membership plan compare to traditional insurance, “discount” plans and other ways of paying for dental work? A: Membership plans lower the cost of dental care for patients. Typically, they get two hygiene visits and x-rays, along with discounts on other services, at one flat rate for the entire year. For dentists, membership plans mean higher net revenue compared to insurance participation. Our research shows that practice owners take in 80% more net revenue than a typical PPO plan and 31% more net revenue than a typical discount plan. [editors note: see chart provided by Kleer below] In addition, patients who join a membership plan stay patients; unlike consumers who use discount plans, they’re usually one-and-done patients who chase coupons from practice to practice. With membership plans, you and your team don’t have to deal with denial of claims, annual maximums and other insurance-related hassles. Instead, you get guaranteed revenue, fee schedule control and the flexibility to design your membership plan the way you want. Q: Are uninsured patients as compliant as insured ones? Why or why not? A: Uninsured patients are 50-70% less compliant than insured patients, visit 2-4 times less, and, once in the chair, accept 50% less treatment. Why is this? You know you’ll be footing the entire fee. You have no idea what the fee will be. Uninsured patients are dealing with two powerful negative emotions: fear and uncertainty. And that’s in addition to any other dental-related fears many people already have. Membership plans neutralize both of these cost-related emotions. Patients know what to expect and they know what is covered. In fact, membership plans flip the script for uninsured patients. Instead of avoiding the dentist, they want to visit the practice and get the most of their membership plans. The plans designed by our customers are simple, transparent and less expensive than other dental benefit plans with no waiting periods, deductibles, annual maximums or pre-approvals. The coverage makes patients feel protected and the simplicity and transparency build trust in your practice. As a result, patients visit more often and accept more treatment. Q: You are a big advocate of dentists reducing their reliance on insurance companies. What are some statistics that support your advocacy? A: Yes, I am, and I’ll tell you why. Dental insurance takes a huge cut out of patient premiums, forcing dentists to accept smaller and smaller reimbursements. For the past two decades, dentists’ earnings have been flat, while the dental market has grown 70%. The primary reasons are increasing costs and decreasing insurance reimbursements. As reported by the California Dental Association, only 60% of payments made to dental insurers go to oral care.1 This means that insurers drain $30 billion from the dental market each year! What if we could suddenly move that $30 billion to care? And it’s only going to get worse. As reported in May by Morgan Stanley Research, reimbursement rates for independent practices declined 6.7% in the last 12 months and is projected to decline another 8.7% in the next 12 months.2 Reimbursement is truly becoming a crisis. It’s a vicious cycle of diminishing returns. And it won’t end until dentists stop playing the dental insurance game. Q: Tell us a bit about your past. I know you worked for Microsoft and were President and CEO of a wearables company prior to Kleer. A: Prior to joining Kleer, I served as the President and CEO of FitLinxx, a leader in the wearables market. We created simple, affordable and connected wearable devices for the medical and sports markets. FitLinxx devices enabled patients to monitor and manage chronic conditions and athletes to monitor and improve their performance. FitLinxx partnered with over 50 leading fitness and health companies to embed FitLinxx devices and data platform into customized applications. Before FitLinxx, I was at Microsoft from 1999 to 2006, where I developed new product, market and partnering strategies that enabled thousands of our partners to enter new markets and grow. Q: What brought you to dentistry? A: I sold my wearables business to a medical diagnostics company in March 2016. I was planning to take some time off, but ran into a friend who owned a few dental practices. He mentioned that it was very difficult to run a profitable dental practice since 50% of consumers don’t visit a dentist annually, and insurance reimbursements were really bad and getting worse, which make it nearly impossible to turn a profit without sacrificing the quality of care. My career had been built on applying technology to make people’s lives better, so I was intrigued. Instead of taking time off, I kicked off an extensive market research effort that culminated with the creation of Kleer. Q: Why is it advisable to utilize specialized software to manage a membership plan? A: Dentists know dentistry. That’s what they love to do, that’s what they were trained to do, and that’s how they earn a living. Why burden yourself with trying to create and manage a successful membership plan when companies like mine already exist? 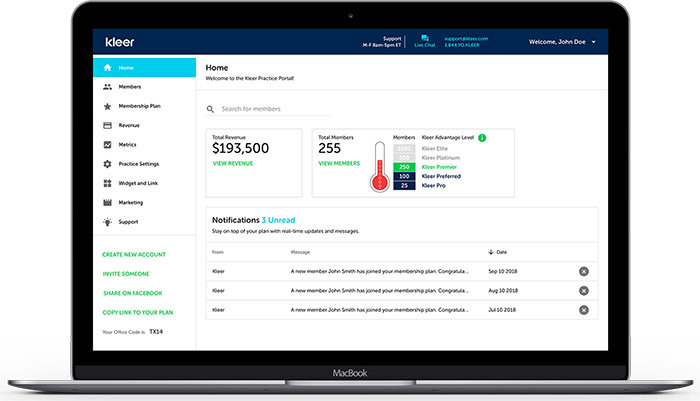 Software makes it easy for practice owners and team members to manage membership plans, and in our case, we make them easy for patients to use, too. Why do the hard work when someone has already done it for you? As a practice owner, you want to minimize overhead and busy work for your team. We talked with a lot of dentists before we launched Kleer, and you wouldn’t believe the number of technology-related horror stories we’ve heard from practice owners who invested in overly complicated, non-user-friendly, unreliable software and/or services. We listened to those dentists and heard their message loud and clear — they wanted something that was easy-to-use, that didn’t take a lot of training, that was reliable and actually worked … and that didn’t break the bank. When we developed Kleer membership plans and the technology behind it, I made damn sure we listened to those dentists, team members and patients. 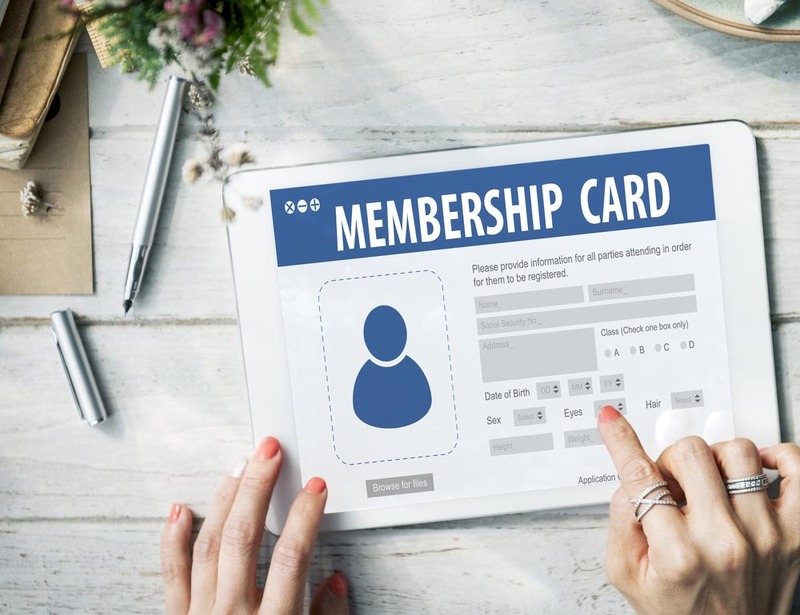 In Kleer’s case, our membership plans include features like automated payment processing, auto-renewals, automated member notifications and many patient self-service tools. During our research, we saw how dental insurance companies often bog down practices with paperwork. With Kleer, our goal was the exact opposite––we wanted to use technology to free the front desk team and the financial coordinator from unnecessary busy work. Good design means everything to consumers. Patients expect a simple, modern consumer experience across all of their devices. And your team expects the same. A poorly designed membership plan will lead to patient and team frustration and wasted time. Continuous improvement is critical to long-term success in business. Software makers like us must continue to invest in the product based on best practices and feedback across all users. There are multiple federal and state laws that must be complied with, including HIPAA, state data privacy laws, consumer protection laws, insurance laws, Stark Law, etc. It costs a lot of time and money to understand the laws and be compliant. Before we built Kleer, I hired three law firms to review these laws and provide input into our product design and development. Again, we did the hard work, so dentists don’t have to. Q: What should dentists look for in a great membership plan management platform? Is it easy to use? Can patients easily sign up for the plans? Can practices easily set prices and services? Can they easily pull data on members? Does it consistently and reliably work? Can patients setup automated payments on their credit cards? Does it collect payments for the practice? Can it be customized for each practice? Is it price-friendly for patients? Is it profitable for the practices? Does it comply with all existing laws? Does it come with low staff administration and costs? Q: We know that dental cloud adoption is lower than healthcare in general. Why do you think that is? A: As I mentioned earlier, dentist earnings have been flat for 20 years due to rising costs and lower insurance reimbursements. As a result, it has been difficult for a majority of dental practices to invest in new technology outside their core, clinical needs. 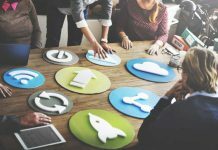 They’ve had to make investments in technology like digital x-rays, but that leaves little capital to invest in better practice management software, automated marketing software, membership plan software, and the like. Also, many of the cloud-based solutions want dental practices to pay upfront or on a monthly basis for software even if they get little value from it. A: We have entered a new era in the dental market where dentists can be independent and earn more while providing better and more affordable care to their patients. Dentistry is actually late to this concept and is following the lead of the retail, music, ride-sharing and other markets where direct-to- consumer, subscription models have become common. I am very excited about the future and look forward to helping dentists enter this new era and experience even greater success as practice owners. Q: Thanks for your time, Dave. Our goal was to give readers a comprehensive overview of membership plans and I certainly believe we have accomplished that. Previous articleLeadership continues to evolve … do you? Jesse Barron is the Executive Editor of DSO News. He is also a Managing Partner of Dental Allies, Inc. Using highly regarded industry experts, Dental Allies provides clients with practice transition consulting, practice success solutions and highly effective practice marketing. The company's exclusive Practice Cloud℠ elevates practices to the cloud with a HIPAA compliance tool that will help you achieve the top 2% in compliance in as little as 21 days. Practice Cloud also provides a suite of HIPAA-compliant cloud-based solutions for voice, email and file management. 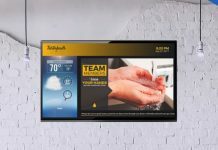 What is on your office TV screens? DSO News, published by DSO Market Watch, is the largest digital news source for dental support organizations (DSOs). © 2018 DSO Market Watch, a division of Dental Data Solutions. All rights reserved.